Today’s guest post is the second in a series about growing an email list, by author Kirsten Oliphant (@kikimojo). You can go back and read the first installment on how and why to start an email list. The connection with your email newsletter subscribers starts much sooner than you think. Connection begins somewhere unexpected, in a place that many gloss over or ignore altogether: your signup forms. Confession: I hate forms. Paperwork of any kind and digital forms make me crazy. Spreadsheets make me twitch. But the signup forms for email lists are so vastly important that I make an exception and dive down deep. You should too. Why do these forms matter? I want you to think for just a moment: Are any of the signup forms you have filled out memorable? When I think of forms, two images come to mind. The first is from Paul Jarvis and Jason Zook of the Invisible Office Hours Podcast (among other places). When you click your email to confirm that you do, in fact, want to receive emails from them, you get this lovely digital high-five. It put a smile on my face. It was unforgettable and silly. But important (and I’ll get to why in just a moment). The second is from Ed Cyzewski (a writer who has penned several pieces here on publishing). It is a picture of his rabbit. I’m not a rabbit person. 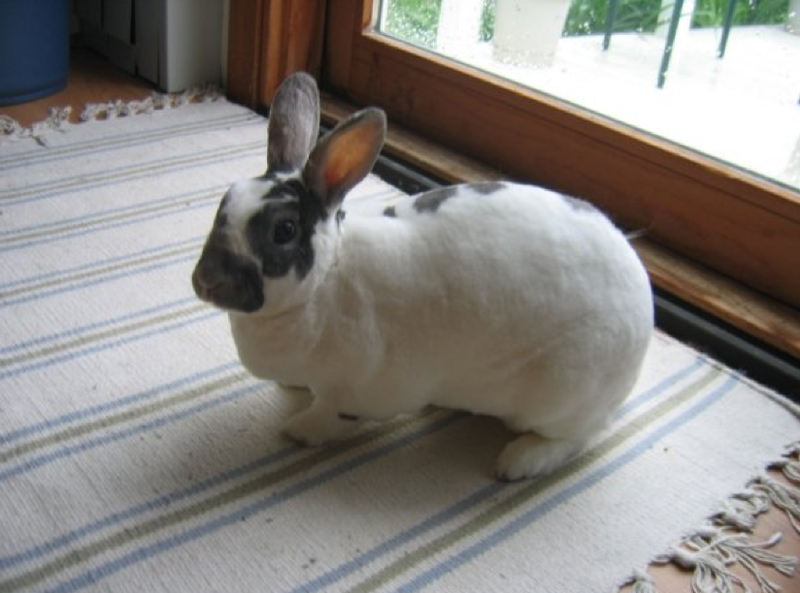 But getting this seemingly random picture of a rabbit in the midst of email signups made Ed memorable to me. The next time I got an email from him, I thought of the rabbit. Again, I don’t like rabbits. It’s not about rabbits. This is about becoming a real person to your email subscribers. It’s about the unexpected and the personal. When your email subscribers remember you, they are more likely to open your email. When your email subscribers have more of a personal connection, they are more likely to read and engage with your content. When your subscribers connect with you in other places, they are more likely to stay connected, so along the signup process, you can leave links to your Facebook group or page or your Pinterest profile or Twitter—whenever you want them to connect further. You could also leave links to your books, but I would personally recommend sticking to non-paid connections at the start. When you are more personal or unique, you will turn some people off. We tend to hate unsubscribes. But unsubscribes are a good indication that you lost someone who wasn’t a true fan anyway. Sharing your Star Wars obsession may send Trekkies off in another direction. But it’s better to turn them off at the beginning by letting your flag fly than to have people be dead weight on your list, deleting emails without opening because they don’t really like you. Rather than just thinking of all the forms in the signup process as a necessary evil, consider each form an opportunity to form a lasting relationship with readers. These forms set the tone for the rest of that reader’s relationship with you. Take the time to maximize these opportunities. Before we dive into the specifics of customizing your forms, you need to take a step back and ask if you know your writer’s persona. You want to think about the way you want to come across to your readers and the vibe you want to present. Consider what things you will share and what things you’ll hold close to the chest. You may not want the fun vibe that Jason and Paul are going for with their high-fives. But that is very representative of who they are and the way they interact. It helps people connect or else realize that they don’t want to hear from guys who take a picture of a digital high-five. When it comes to lists, you want people who are drawn to you and your content, so the more personal you can be, the better. Depending on your email service provider (ESP), this process will look different. Some ESPs give you the option for a single-click opt-in; I would not recommend this. Single opt-ins are like using your head in volleyball (as I learned in high school gym class): legal, though not preferred. Dust off your dashboard and get into the forms section of your ESP. You don’t want to overcrowd your inbox, but sign up for lists in a similar niche. See what you like and don’t like about the process. Take screenshots of things you like (or don’t like). This will help give you ideas. You may have more or less, but those are the basics and the most important forms. Some will be forms, some will be emails, and some will be pages on the internet that either your ESP hosts or that you can have redirect to your site or another place. Before you make changes, experience it for yourself. Sign up and go through the process. Make a note about each page. What do you like or not like? What could be better? Where is there space for improvement? One of the smallest and best changes you can make is taking out all of the standard wording. No one wants to “Sign up for our newsletter.” But they might want to join your community of awesome. Or they might not want to miss out on exclusive free content. Whatever the case, change the wording. Even the “Subscribe” button can be better. Try “Join me now” or “I dare you—click the red button!” Anything that represents your persona and makes you stand out from the other 500 signup forms that person sees every day is a good thing. Consider where you might add images and what images would best represent your writer persona. Think about links to include so that people can connect even more. A warning about links: Do not use links on the pages where people have to click to confirm or enter your email address. You want to make sure people do that one important action of signing up for your list, so don’t add in a bunch of social media links or blog posts links. Save that for the welcome email, or make a unique page for your subscribers where they are redirected when they confirm, and include the links there. Clickable items belong only in places where there is no other necessary action to take. Your ultimate goal is to have the process both streamlined, so that people can easily sign up, and memorable, to establish a deeper connection, form connections in other places, and turn off those readers who aren’t your ideal in the first place. If you want to get a visual for going through the signup process, this is a MailChimp-specific workshop I did that goes deep into customizing forms. (It was recorded live, so there may be a few now-irrelevant references, but the customizing is still relevant.) I hit on the importance of email again and also how you can utilize and customize forms. Even if you aren’t in MailChimp, this may give you some ideas. The great thing about customizing forms is that so many people do not take the time—or don’t realize that they can. This will make you will stand out from the start. You will already be memorable because you used different wording on your button to sign up. You might even get more signups because people notice that your signup form is just their brand of humor. We get sidebar blindness, and that extends to forms with the standard wording that comes straight out of the box with MailChimp or Mad Mimi or AWeber. When your readers see your name in the inbox, they will now have a whole host of (hopefully great) memories either in the front or back of their mind. They will see that digital high five or your rabbit or remember that great blog post you linked to in the welcome email. These tiny details can have a big impact and make your list more engaged and more filled with the right readers for your work. You will have a lot more work to do in terms of establishing connection through your content, but the signup process sets the tone. Start establishing your connection early and make use of the opportunities your ESP provides by way of otherwise annoying forms. Go back and read the first installment on how and why to start an email list. Posted in Guest Post, Marketing & Promotion and tagged book marketing and promotion, email marketing, email newsletters, email subscriptions. Great info! Just to clarify as I have been monkeying around with this today 🙂 if you customize the forms, you need to use the URL instead of embedding code. Customizing forms does not appear to affect the embed code. So instead of adding that code to the HTML on my blog, I would just put a link/URL in the footer or sidebar or wherever? Yes, that helps. But I’ve never set up an RSS through MailChimp. How would I got about doing that? This is so helpful! My newsletter subscriber numbers are static, so I want to pump up my numbers with reworking my lead magnet and the sign up process itself. I feel constrained by technology and limits through Mailchimp on the design, so I especially appreciated your tips for changing words here and there without having to write code. Kiki, how exactly do you sign up for your own newsletter? I’m following your steps, and I’m on Mail Chimp. I would suggest visiting where you have signup forms on your blog and signing up there as you would for someone else’s list. It will allow you to see what the signup process is like!